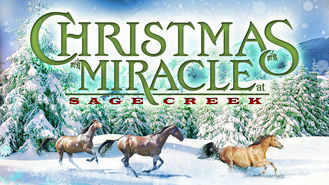 Christmas Miracle at Sage Creek (2005) on Netflix USA. Check worldwide Netflix availability! If Christmas Miracle at Sage Creek isn't available in your country, or you are visiting a country where it isn't, there is still a way to watch it! Two families struggle without success to overcome prejudice and tragedy in 1888 Wyoming, until a special Christmas miracle saves the life of a boy.